Cornelius was a coal merchant.1 He served as Postmaster at Sea Cliff after his retirement from business, and as an elected official for the Town of Oyster Bay, Long Island, New York. Email from Barbara Bell to Sackett Discussion List 8 August 2006. This is the obituary for Sackett Chellborg, from the "Sea Cliff News"
having spent an unusually active, busy and happy day. the social, civic and religious life of the community. Public School No. 40 in New York where his boyhood was spent. officers, postponed their meetings of the week. in a body and conducted the commitment services at Hillside Cemetery. transmitted to his family and also to the press. Charles Weygant, The Sacketts of America, "4595. 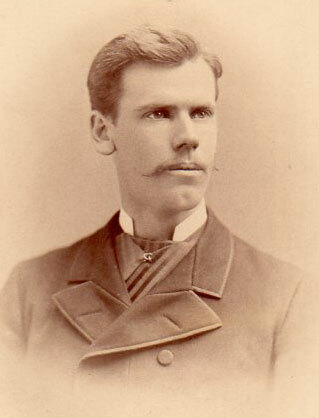 Cornelius Sackett Chellborg, b. May 29, 1854; m. Alice Lane." Catharin Westlake, 11, b. NY. Smith, John, baker, b. Germany.